Michael Gove sparked anger this week when he said increases in the use of food banks were the result of people not being able to “manage their finances”. 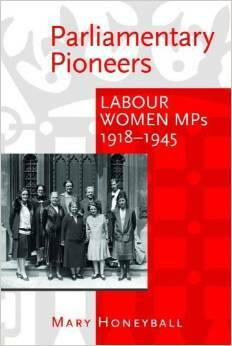 The comments were roundly criticised by Labour MPs. Ed Miliband called Gove an “absolute disgrace”, and Steve McCabe branded him “out of touch”. Gove is not the first person to suggest people forced to use food banks have brought their situation upon themselves. Jamie Oliver courted controversy last month when he suggested food poverty was the result of people spending money on the wrong things. Both his comments and Gove’s have been condemned by charities tackling the issue on the frontline. Rather than pointing the finger at the victims they blame low pay and the cost of living for increases in the use of food banks. Gove’s words proved poorly timed, with a report released two days later showing the impact of food poverty on education standards. The study found that one in seven children now go to school hungry – a figure described as “shocking” by Pete Mountstephen, Chair of the National Primary Headteachers, and one which has a clear knock-on effect for levels of attainment. According to Oxfam half a million people have come to rely on food parcels. The issue is particularly acute in London, where the cost of living is greatest. Last week food banks in Kingston-upon-Thames – one of the capital’s more affluent boroughs – fed their 5,000th person. With small signs of economic growth Gove and other Conservatives are indulging in a premature victory lap. In so doing they show themselves to be frighteningly out of step with the lives of ordinary people, many of whom feel under terrible strain. 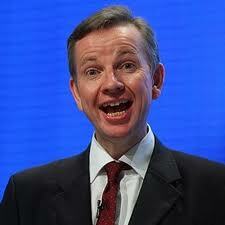 Gove’s comments can be brushed under the carpet as a ‘gaffe’ which will be forgotten by next week. But his choice of words reveals something deeper about him and his party. It emerged over the weekend that David Cameron will be teaming up with Kenneth Clarke this week to make the case for Britain’s continued membership of the EU. In a speech ahead of next week’s G8 meeting of world leaders in Northern Ireland, Cameron is planning to say that the country faces a battle for its economic future, involving major domestic reforms and greater foreign ambition. He’s planning to support Britain’s membership of the EU, describing it as part of a “desire to shape the world” by sitting at the “top table” of major international institutions. And he will urge the country to nurture a “sense of opportunity” that was “lacking for too long”. Cameron’s staunch defence of Britain’s EU membership, a month after Michael Gove and Philip Hammond said they would vote to leave now, will be reinforced by Clarke who will warn that Britain will be “reduced to watching from the sidelines” if it leaves the EU. The prime minister will indicate his sympathies lie with Clarke and not with his friend Gove when he outlines how Britain can improve its standing in the world. It’s hard not to feel that Cameron has let this issue completely run away from him within his own party. I agree with his assessment of the importance of continued membership of the EU, so I have to ask him why he and his party have put it in such jeopardy. Taxes will have increased some 300 times by 2015 when the Coalition Government’s term will end, the Tax Payers Alliance (TPA) warned earlier in the week. The TPA researched tax policies since the Coalition Government was formed and the Alliance claimed there had already been some 254 tax rises and at least 45 more planned before the next election. There was a very curious story on the front of this week’s Observer. The lead, front page story accused Gove advisors in the Department for Education (DfE) of smear tactics on journalists and opponents. The article warned that official guidelines may have also been broken. The story concerns the Observer’s allegations that the DfE has undertaken a propaganda campaign using an anonymous twitter account called @toryeducation. The account, so the Observer story reveals, is used to attack critical stories about the secretary of state for education, Michael Gove, and the department. “It is often abreast of imminent Tory policies, suggesting it is coming from close to the centre of government. However, it is also used to rubbish journalists and Labour politicians while promoting Gove’s policies and career,” the article warns. You can read the Observer’s full report here. Last week saw some embarrassing confusion from the Coalition Government over the child care shake up. Early Years Minister, Elizabeth Truss, announced on the BBC Radio 4 Today programme that child minders and nurseries could increase the number of children they care for if they improve their qualifications. Critics argue they are unhappy with the ‘fixation’ to alter the ratios. You can read more on this subject here. Also this week, Olympic Gold medalist Mo Farah and his wife criticised the Government’s Games legacy. Mrs Farah said, in an exclusive interview with the Observer that she and her husband wanted to see an increase rather than a reduction in school sports budgets. She went on to say that it is at this stage that gifted students are discovered and they should be nurtured. You can read the full story here. Hardly anyone can have missed the banking scandal story which dominated headlines for most of last week. In the Mail on Sunday this weekend Ed Miliband offered his vision for the future of big banking. This morning he is due to reveal his plans. He will say that the high street banks sell off 1000 local branches and that the big five banks become seven. Miliband wants them to be forced into small businesses and to see them put an end to selling complex and dangerous products. The Mail on Sunday article reveals the extent of his anger. He is furious at their arrogance and extravagance. “Look at Bob Diamond, a £22mn pay off, £120mn over the last few years. You think ‘aghh’ that’s totally off whack.” And if by ‘off whack’ he means inappropriate, then he’s completely right. The interview is perhaps one of the most revealing to date and discusses the influence his father, Ralph had on him. If you are unsure of what Ed Miliband is about then this interview gives a thorough insight into his vision, his plans and his agenda. You can read the full article here. Last week the business magazine, Management Today announced its top 35 women under 35. Yesterday’s Sunday Times had full profiles of the rising stars as listed by the magazine. They hail from all walks of life, including jewellery designers, bankers, tax experts, art directors and lawyers. It’s lists like these that remind us why encouraging women to aim for the top jobs can and will pay off. It’s a reality that many of these women are still operating in a male dominated environment, yet they are young, ambitious and determined. You can read the full profile of all the women in the latest issue of Management Today. Also in the Sunday Times this week is a revelation that celebrity Chef Jamie Oliver has been side-lined by education secretary, Michael Gove, in the minister’s latest attempt to improve school food. Instead of using the campaigning chef who has worked tirelessly over the last few years to highlight the lack of quality school meals offered to our children, Gove appointed to restaurateurs. Insiders believe the snub which has resulted in Oliver being rules out of a formal advising role, relates to the Chefs repeated attacks on Gove and praise for the Labour’ governments policy. Gove had an opportunity to use and experienced and passionate campaigner who knows and understands the situation; instead he chose to snub the chef because of his apparent attacks. I had thought politicians were made of thicker skin? You can read the full story here. The notorious British inability to speak foreign languages was brought into sharp relief yesterday by the British Chambers of Commerce (BCC). According to a poll they undertook at 8,000 firms, reported in the Daily Mail “very few [staff] can speak well enough to conduct deals in international markets”. This is an appalling indictment of our educational priorities. It is all too easy to feel that since English has become the international language, it is not necessary to speak anything else. Such an attitude is short-sighted in the extreme. Obviously, when everyone else speaks English, the premium which comes as a mother-tongue speaker is diminished, and the lack of any other language becomes more apparent. Of those who responded to the BCC poll, less than one per cent said they could speak Russian or Chinese to “a very good level at which they could make business deals”. The figure rose to just 1.2 per cent for Italian, two per cent for Spanish, 2.8 per cent for German and 4.2 per cent for French. Given the truly dire state of affairs represented by these statistics, I would certainly support the British Chambers of Commerce when they say they want tax breaks for small firms offering foreign language training to workers. Education Secretary Michael Gove would also do well to take on board what the BCC are saying, especially there call that every child should should learn a foreign language to GCSE. I have, in fact, blogged on the British foreign language problem on more than one occasion. It is very apparent in the European Parliament where expert knowledge of at least one other, and often two or three, languages is the norm among MEPs from other member states. It is also to our shame that the only two European Commissioners who do not really have another language are those from the UK and the Republic of Ireland. There are, of course, sound economic reasons for speaking a foreign language. The BCC are quite right when they say that having every child learn another language would help our ailing economy. It would also provide our students with far greater potential. English together with Spanish would open up South America while the possibilities of English with Chinese may well be where the future lies. 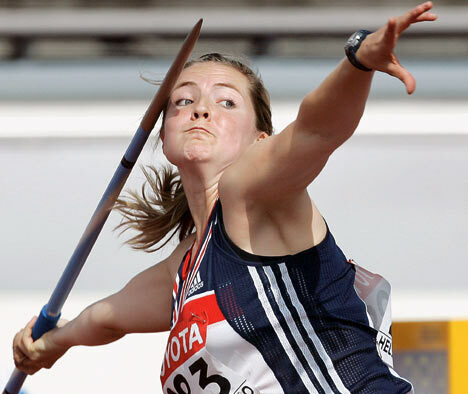 Goldie Sayers, Britain’s number one female javelin thrower since 2003, will represent Great Britain for the third time at the London Olympics this summer. Her first Olympic appearance for Team GB at the Beijing Games in 2008, saw her beat her own UK record with a massive throw of 65.75 metres. Despite this record-breaking throw she narrowly missed out on a medal by just 38 centimetres. Besides competing in two Olympic Games, Goldie has taken home gold from six consecutive national championships, and has stood on the podium at several international fixtures, including taking the gold medal at the European Cup in 2007. Goldie also holds a first class honours degree in sport and exercise science from Loughborough University. Goldie broke her first record for the javelin throw at the age of 11 when, with a throw of 29 metres, she beat her school’s seniors record. It wasn’t until the age of 18 however, that she began to compete in athletics full time. Up until this point, with the support and encouragement of her school, Goldie focused on team sports including hockey and netball. Goldie has previously said that playing team games from an early age was crucial in her athletics career. In 2006 Goldie remarked that “Team games are so important and should be on the agenda, without fail, in every school in the country, starting with primary schools”. In the same interview she pointed out that “If we want elite sport to get better, we have to instil competition in schools”. Between 2003 and 2010, under the last Labour Government, the number of secondary school children playing sport for two or more hours a week rose from 20% to 85%. Labour also set up a network of school sports co-ordinators who were responsible for working on an inter-school basis to increase the range and quality of sports available for pupils. In an interview with the Guardian, school sports coordinator, Jo Marston has called these the “halcyon days” on the basis of a previously unseen breadth and depth of competition in school sports. In 2010 Michael Gove abolished the networks of school sports co-ordinators set up by Labour in the face of much outrage from both teachers and athletes. He later back-tracked and continued to fund the position, albeit at a reduced rate of one day per week. He has also ended ring-fencing for the post. Luckily for Jo Marston and her pupils, the schools that she works in saw the great benefits of keeping her on for three days a week in this position. Because of the lack of ring-fenced funding, many schools have chosen to use this money to plug holes elsewhere in their budgets. I can only feel sadness for the many children who won’t benefit from this excellent initiative. This summer I will be clapping Goldie on as she runs up for her throw; I am keeping my fingers crossed that I will also be able to cheer for her as she climbs onto the podium in triumph! When children are the ones affected by the governments cuts the country begins to listen, or at least it should do. The budget for renovating school buildings is expected to fall by more than half in real terms over the next four years, universities will see their funding cut by almost half (40%). But the most explosive impact the cuts will have is on nursery education. Nurseries and playgroups, and “early years” education funding is to be reduced by a fifth, the Institute of Fiscal Studies (IFS) has warned. The IFS study also revealed that it is children from more affluent backgrounds which will be hit the most. Under the coalition’s plans those in the poorest neighborhoods are likely to be the most protected. The report on funding is the most depressing since records began some 50 years ago. You can read the full story here. There was further concern in a report from the local paper the Ealing Times. It found, that young women are most worried about money, more concerned than they have ever been before now. The third annual Girls Attitude survey found that those who plan to leave education and training at 18, more than one in five (22%) said this is because they cannot afford to study, up from just 8% in 2009. The report also found that a third of 16 to 21-year-olds “need a couple of drinks for courage before a night out”. What a sad place we must be in so many young women are so concerned about finances they have decided to not go to university. We are letting down an entire generation of bright young people who had hoped they would be able to continue their education in the way that we have been able to do so. What their future will turn out to be is uncertain and so it’s hardly surprising that they remain anxious and rely on a ‘couple of drinks’ to ensure they have a successful night out. You can read the full story in the Ealing Times here. And children will be failed in other areas- aside from education, but still related to it, as more than half of school breakfast clubs face closure, despite evidence showing that they are one of the surest ways to achieve better results for primary school children. A hot meal in the morning is one of the surest ways to achieve better results for primary school children, for one in four of all UK children, school dinners are their only source of hot food. Malnutrition, even scurvy, are rising and children coming to school hungry is not unusual in some of the poorest parts of the country. Interviewed for the Guardian, Theresa Landreth, a head teacher in an inner London school sums up the effect a poor diet has on children: “It becomes pointless to teach because they aren’t going to progress throughout the morning. Breakfast club has transformed our school,” she said. Behavior, attendance and performance at Mitchell Brook have dramatically improved since they introduced a Breakfast Club, but for how long it may continue is anybody’s guess. Over to you Mr. Gove?